How to edit the contrast, brightness, saturation and tint in your videos, and how to use 3d LUTs. How to add animated text effects and openers to your project. And how to add subtitles and end credits. I recommend that you download the Wondershare Filmora video editor so that you can follow along and practice some of the video editing techniques as you learn them. You can even download the program for free and practice the techniques as you learn them, but the paid version removes the watermark. 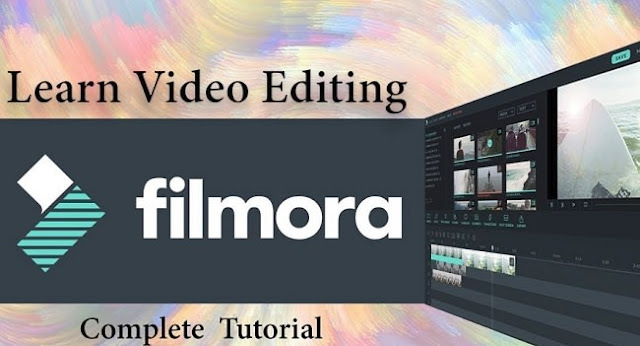 In these series of lessons, you will learn how to create great looking videos that you can upload to YouTube, Instagram, Facebook, Vimeo etc using this easy-to-use video editor from Wondershare Filmora. It's a great video editor to start with if you are new to video editing and it will allow you to edit videos simply and very quickly. There are some really great effects available, and it may be an easy video editor to get started with, but you will still be able to create really dynamic looking videos that look professional. In these video tutorials the goal is to present the video editing tools in Wondershare Filmora so that you can start editing videos as soon as possible. These lessons are simple and 'to-the-point', and I try and avoid going over unnecessary details and overloading you with information about video editing. This is just a simple 'no frills' demonstration of how to use the tools in Filmora. I highly recommend visiting the Wondershare Filmora website and downloading the video editor (for Windows or Mac) for free. Shoot some video footage using your phone or camera or download some royalty free footage (I show you how to do this in the course). There are some free effects available as well to get started with. And then as I teach you how to use the video editing tools and effects, try and experiment with the tools yourself using your own footage. Learn and experiment as you go. If you have any questions about the lessons, just send me a message and I'll be happy to try and help. If you want to create better looking videos, and if you want to start with a powerful but simple-to-use video editor then you should take this course. Wondershare Filmora removes a lot of the complexity of video editing by using lots of presets and effect templates etc. Things get done fast.